MAKE TIME for the work you love. As an artist, your time is precious. Make/Time provides on-demand support to artists and creative professionals. We know artists can't always afford a full time assistant, but as your career gets busier, sometimes you just need help keeping things organized. That's why Make/Time provides on-demand studio assistance so you can ask for help when you need it. Whether it's refreshing your website, organizing your digital files, or cleaning out your studio for the year, let Make/Time take care of business so you can get back to doing what you love. Need help getting your space organized? Moving to a new space? Make/Time can help de-clutter, organize your materials, and store work professionally. Need to post a new body of work? Website needs a refresh? Whether you need help uploading current images, or building something from scratch, Make/Time can help. Having a hard time finding those images you need for your next application? Is your desktop overwhelming to look at? Let Make/Time help with cleaning up your digital files and creating a simple system that is easy to maintain. Keeping track of your work can be a daunting task, but having an organized archive will streamline your practice for years to come. Make/Time can help you manage an existing database or set up something new to get you started. Don't see something you need? Contact me! let’s discuss how I can help streamline your practice. 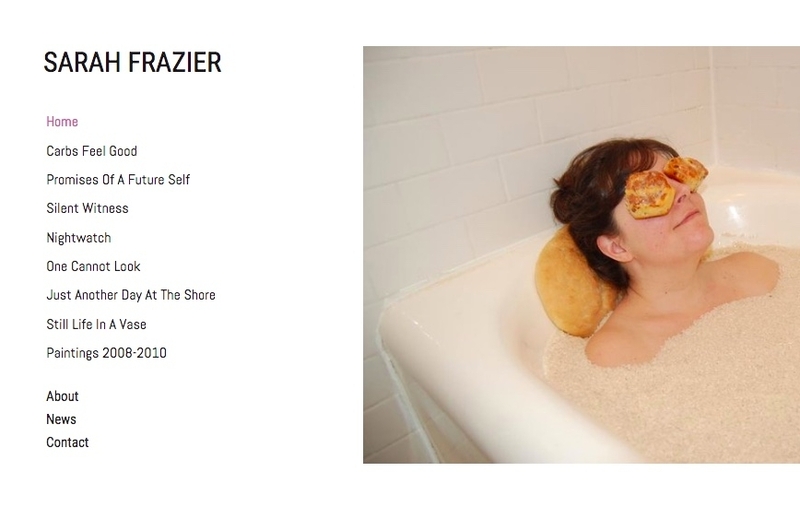 Sarah Frazier-Stewart, owner of Make/TIme. When I was an undergraduate student in visual arts, no one taught me what it would take to keep up an effective studio practice. From image documentation and archiving to endless applications, I had no real clue what being a working artist meant. Like many artists, I’ve had my fair share of day jobs and it took some time to learn how to balance it all. I know how hard it can be to manage the day-to-day work that goes into being an artist and still have the energy to be in the studio. And that’s why I started Make/Time. For me, organization doesn’t feel like a chore - it helps me focus, be productive, and feel good in my space. Nothing makes me happier than helping others organize their life, simplify work habits, and de-clutter their studio or home so they can feel productive. After almost a decade of side-hustling as a freelance studio assistant to many artists, I’ve gathered a treasure trove of tips and tricks to help me stay organized in the studio. And I want to share those tricks with you! I offer a variety of services through Make/Time, but I understand that every artist’s situation is unique. I encourage you to connect with me so I can help you make more time to create.